Indonesia has opted to adopt Queen Victoria School in Tailevu and rebuild it to its former glory. Government will meet their Indonesian counterparts next week to finalise construction plans. This was confirmed yesterday by the Minister for Agriculture, Rural and Maritime Development and National Disaster Management, Inia Seruiratu. After Tropical Cyclone Winston made landfall on February 20, QVS was left in a severe state and the ministry decided to close it until it could be fixed. Students from the famous boarding school are now studying at other schools around the country. “The Indonesians will be going down to Queen Victoria School to assess the damage on the school and then a report will be submitted,” Mr Seruiratu said. “On Tuesday we will be meeting with the Indonesians to finalise a constructional plan and once everything is finalised; reconstruction will start straight away. “Queen Victoria School has been given to the Indonesians; we aim to build stronger and better buildings,” he said. As far as reconstruction is concerned Mr Seruiratu said they intend to prioritise Government facilities, schools and health facilities. “We are focusing on the reconstruction of Government facilities so that services can resume immediately,” Mr Seruiratu said. “In the Western Division; RFMF engineers and the Australian Defence Force are still on the ground reconstructing Government facilities and this is also in the same case as coastal areas in Tailevu. Meanwhile, South Korea will help Nawowo Village at Ovalau, Lomaiviti. 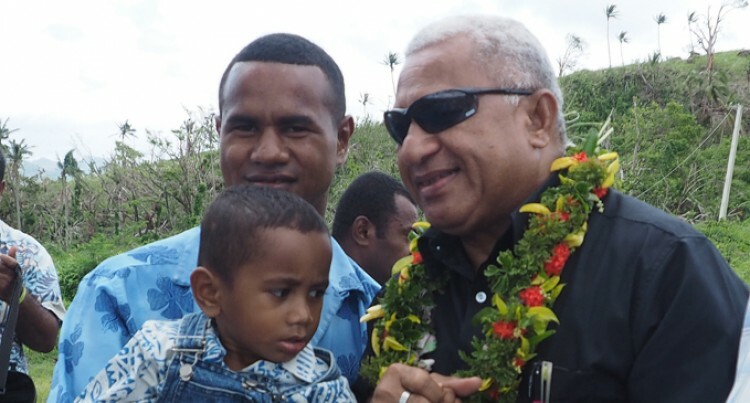 This was confirmed yesterday by the Prime Minister, Voreqe Bainimarama, while visiting Silana Village at Dawasamu. The village was one of the worst hit by Cyclone Winston. From the report received by the Prime Minister, officials from South Korea had already visited Nawowo to see what was needed in the rebuilding works.